I think something that is SO important for every person to own as an adult is a classic and quality timepiece. It is something that can take your look from basic to chic, easily and quickly. I am a minimalist when it comes to jewelry and accessories because my philosophy is choose impactful pieces that add a bold statement. 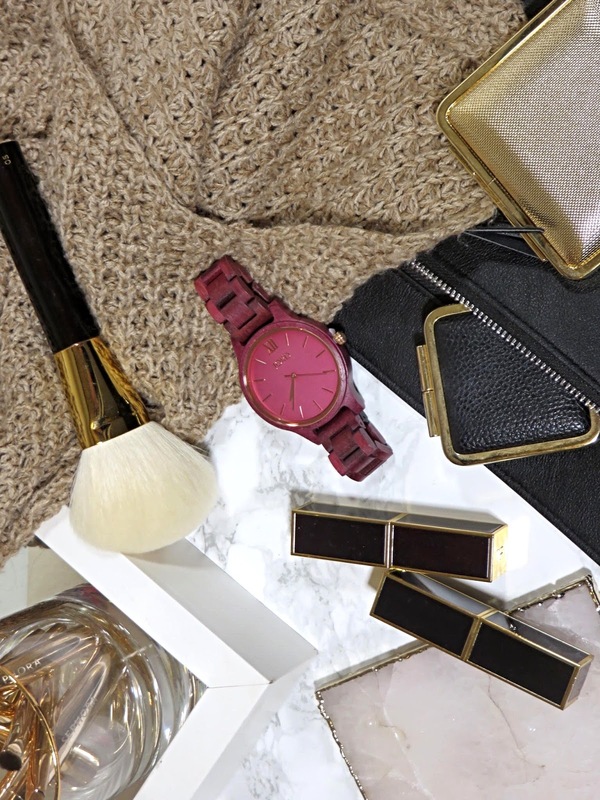 There's no need to over-accessorize when you have powerful and timeless pieces to transform your style. A watch is definitely a statement piece that not only says a lot about you and your style but can really pull a whole look together. When JORD, pronounced YOD, like Yoda without the -a, approached me about trying one of their beautiful timepieces, I couldn't have been more excited. I have been wanting a good watch for a while. I own a couple fun pieces but I wouldn't consider them timeless and classic as JORD watches. So who are they? 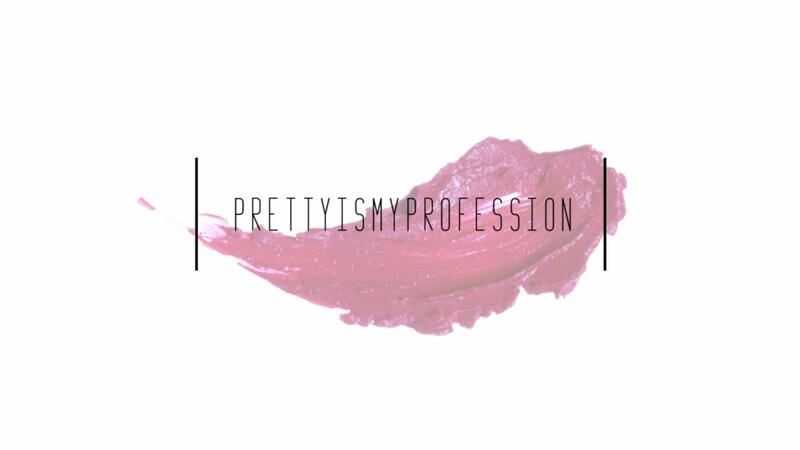 They are a passionate team of individuals of artists, designers, marketers, and minders. 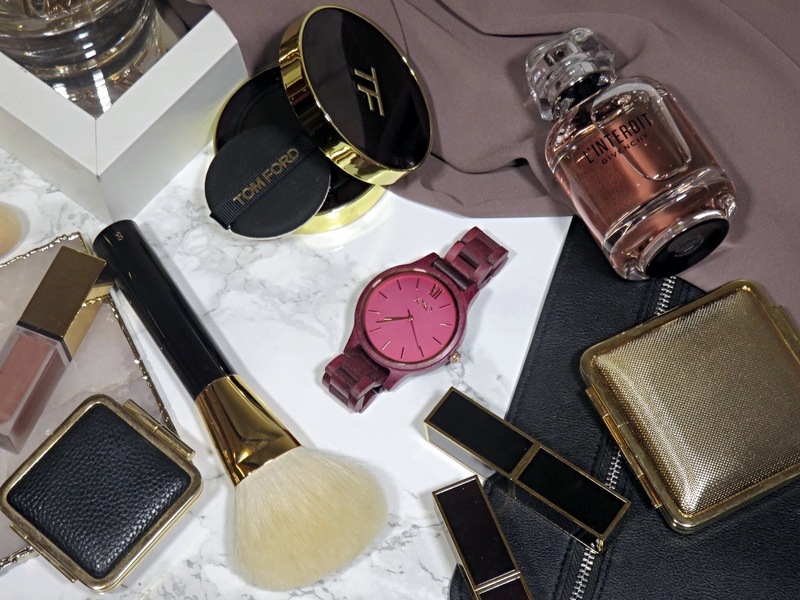 They spend their days creating timepieces that are modeled after a modern lifestyle. They value sustainability, efficiency, and experiential living. They make watches for people who don't just have somewhere to be, but somewhere to go. They believe the value of a watch is not to be able to tell how much time has passed, but in being aware of the need to make that time count. JORD have many different style watches but what they are known uniquely for are their wooden watches, which have a rustic and modern style. I would have never thought to buy a watch crafted from wood but these are so beautifully designed and crafted! They have so many styles for both men and women, to suit anyone's style. 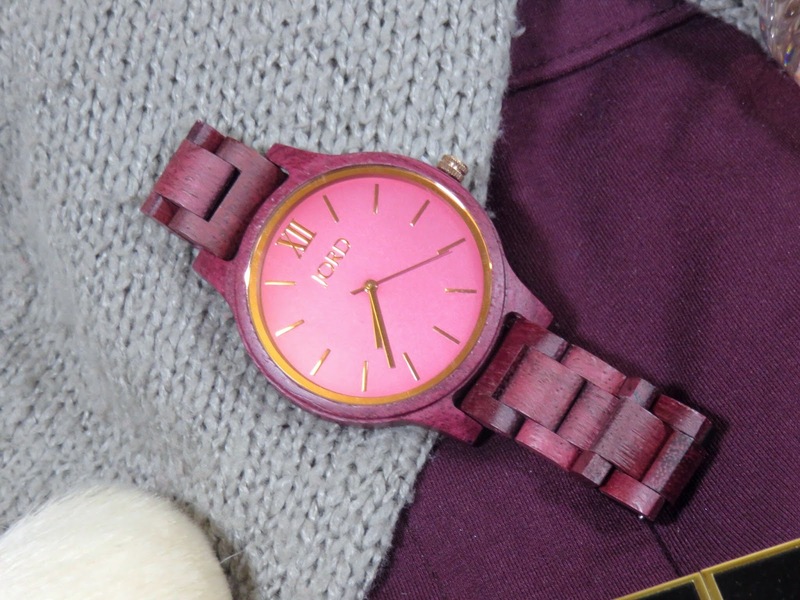 Additionally, their wooden watches are sustainable! When ordering your JORD watch, I recommend adding the watch sizing for an additional $10.00 USD because it will show up ready to wear! All you have to do is select your style and then you measure you wrist to determine the size you need. Don't worry, JORD has an easy printout that will help you measure your wrist size. They even offer personalized engraving for the watch itself for $35.00 or for the watch box for $45.00! How cool would that be for a gift? 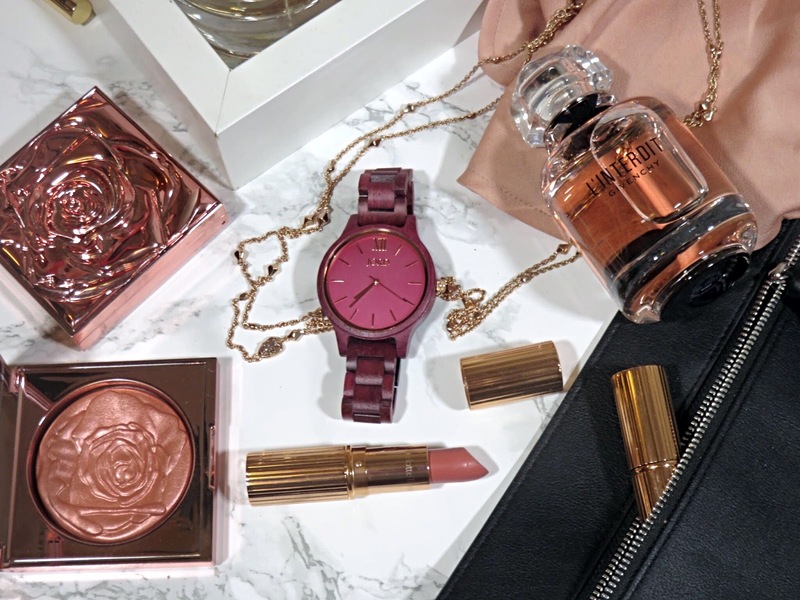 One of my top picks for gifts are watches and it just makes it so much more special when you can personalize them! 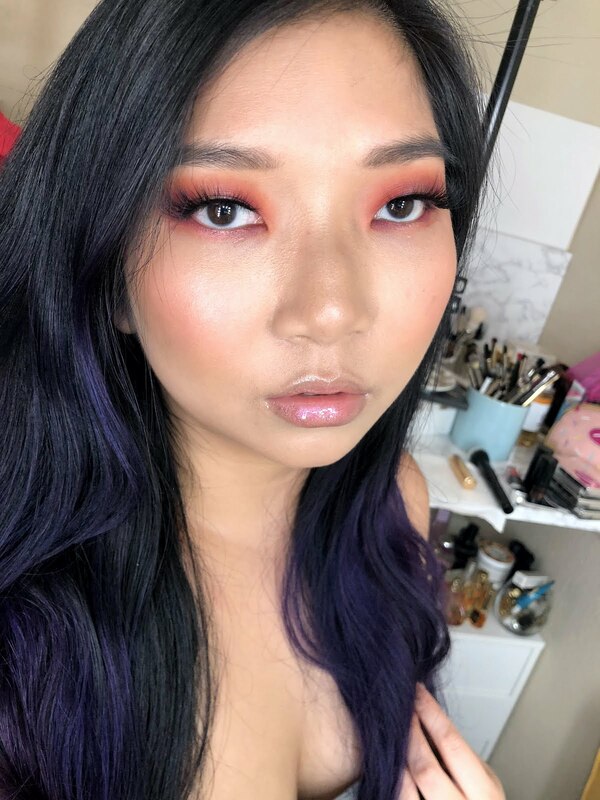 The style I chose from their collections is the "Frankie", which made with beautiful purple heart wood and has a plum face with rose gold detailing! 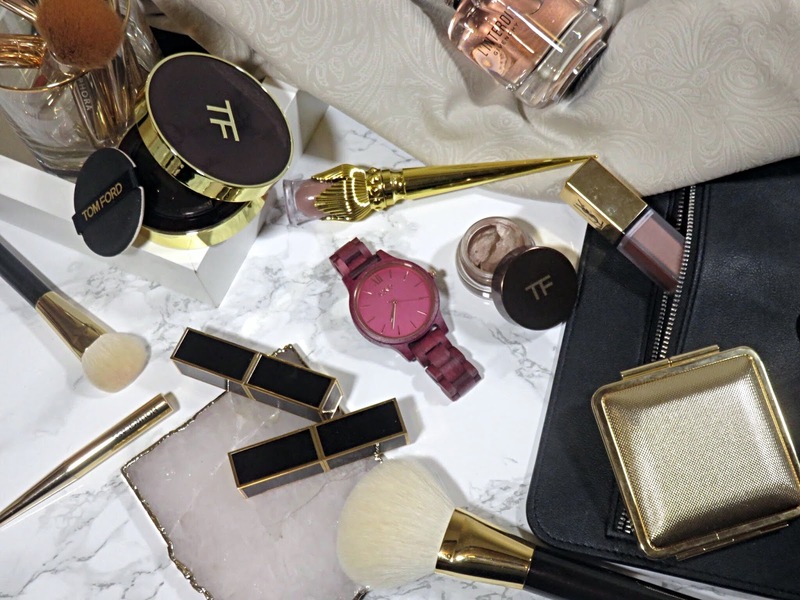 How gorgeous is that combination? The Frankie retails for $189.00 USD and they offer free shipping. 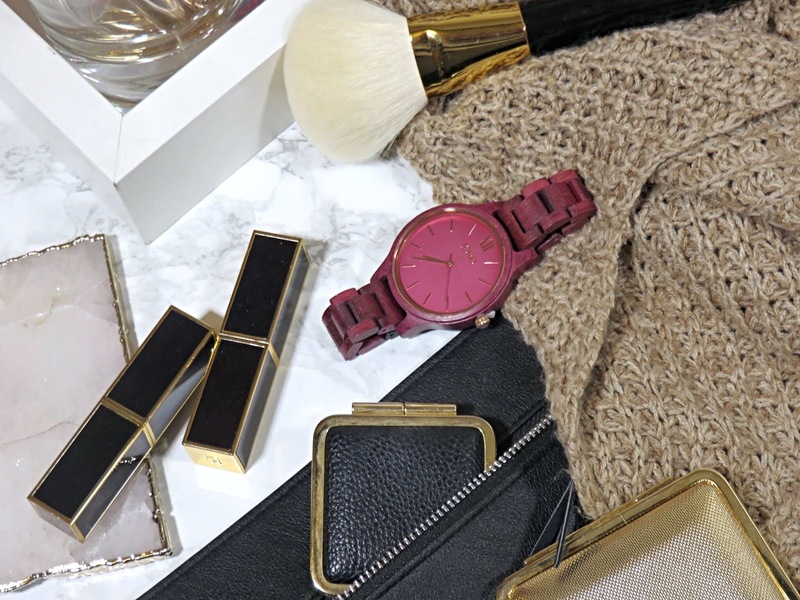 As a person who often wear a lot of neutral shades, I love the bold contrast that this plum watch offers. It is a beautiful and cold statement against my favorite colors to wear, like gray, white, tan, and black. The face of this watch is very simple, with the roman numeral for twelve in the top center and sleek and simple markings for the other numbers, all in a shining rose gold shade. 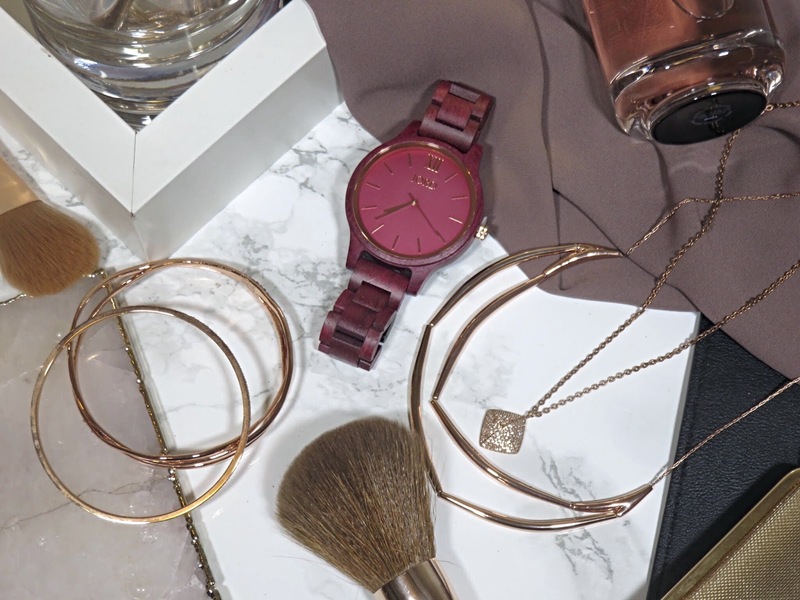 Also as someone who is obsessed with rose gold and owns quite a bit of rose gold jewelry, this watch pairs so well with my existing accessories. 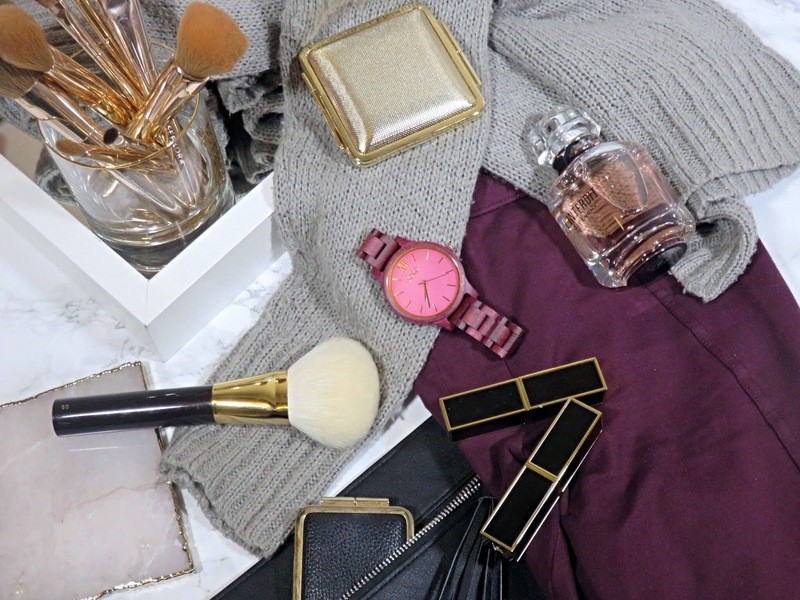 Let's not forget about how this watch pairs with my choices in nail color, you guessed it - neutrals and rose gold! 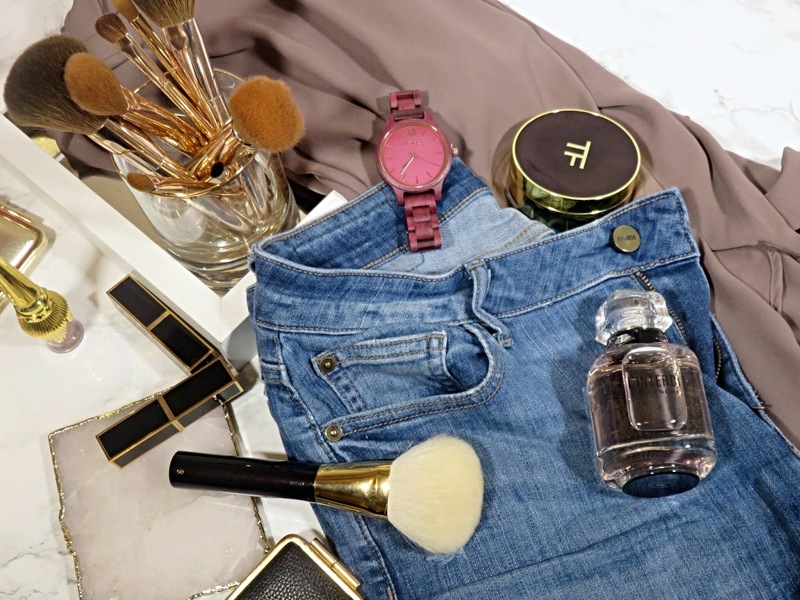 I like to keep my nail color and routine pretty minimal and neutral, which pairs perfectly with the minimal and simple style of my JORD watch. I love the large face on this watch because it makes such a statement and it looks very luxurious! I mean all their watches are luxurious but to me, something about the larger face just feels very elegant and extra. There's nothing wrong with being extra in a very classy way. You can see that this timepiece is made of very high quality parts and it even comes with a 1 year warranty! The wood used for all the watches is incredibly high quality and very well treated! The natural purpleheart wood is hand finished and treated with tung oils. Unlike some metals, this wood will never tarnish and the natural tone and color is always in style. The purpleheart wood is so unique and beautiful. It is sourced from the Solomon islands and naturally has a rich purple color. This wood can vary in grain but it's usually straight and sometimes wavy with a medium texture and a natural luster. I'm no wood expert but it sure is pretty! I have never seen wood of this color and tone and because of it's natural tone and texture, you don't ever have to worry about it clashing with the metal jewelry you wear! The best part is that this type of wood is sustainable! It isn't listed in the CITIES Appendices or on the IUCN Red List of Threatened Species. Additionally, these wood watches are very easy to care for. To clean and care for you watch, you want to avoid storing it in extremely hot, cold, or excessively dry or humid environments. It's also important to note that the Frankie is splash-proof but should never be submerged in water, which should be expected with most high quality watches. I wanted to show you how well it pairs with various colors and textures. Overall, I have to say I am very impressed with the quality and craftsmanship of this watch. 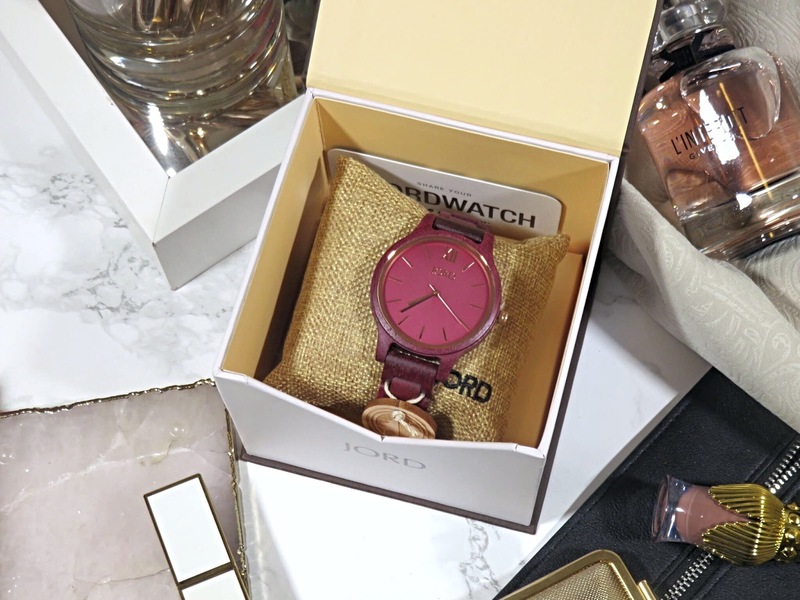 Whether you're looking for a gift someone or something for yourself, you should definitely look into Jord watches. I think there is something for everyone's style and something for any gifting occasion. With Valentine's Day approaching, this may be a really great gift for someone. I love mine and I received a ton of compliments on it because it is so unique and eye-catching. I have been wearing it daily and like I have hopefully proven here, it goes with everything! For the chance to win $100 off a JORD watch of your own, enter my giveaway here! Everyone who enters will receive 10% off! Good Luck! The tour will give you the chance to have the joy of the things which you had never seen before. This will make you able to have the knowledge about so many things . This will help you to increase the level of your thinking. This will help you in your self development.